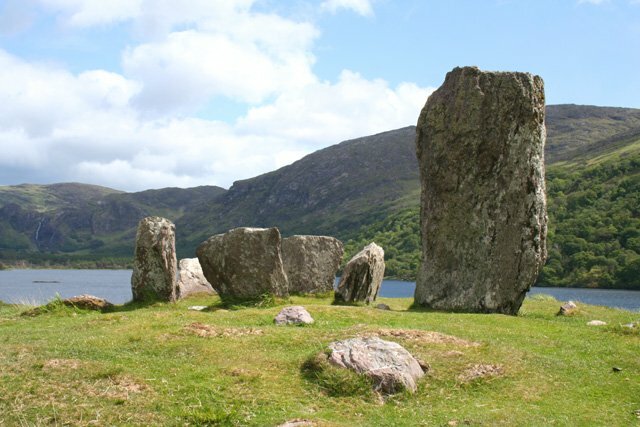 Beara, the Irish peninsula that time forgot! 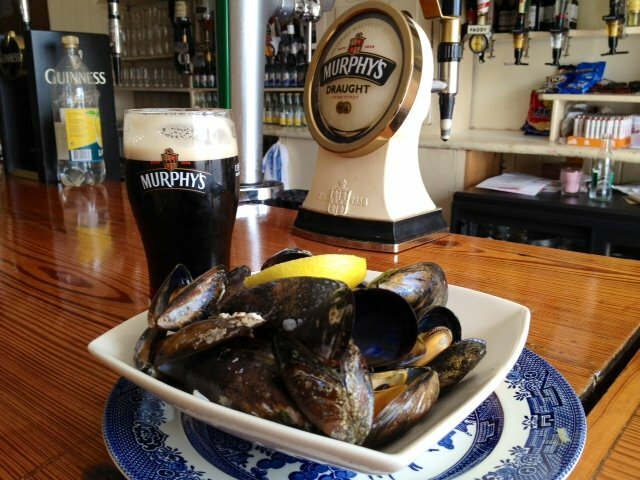 Organic mussels at Teddy's Bar, Killmakilloge, Beara Peninsula. 1 Visit Derreen Gardens at Lauragh, descendants of the fifth Marquess of Lansdowne who created this garden in 1870, the Binghams still own and manage the property during the summer months. A mature woodland garden with a glorious collection of tree ferns and exotic rhododendrons, it covers some 60 acres with 12kms of paths. Don't miss the King's Oozy! 2 Teddy O Sullivan’s Pub now run by his niece Helen where you can enjoy the finest organic mussels from the bay opposite with either brown bread or chunky chips and a nice, cool dark pint of Murphys (which is preferred to Guinness in West Cork) due to the fact that it is brewed in Cork while Guinness is brewed in Dublin. 3 Ardgroom Ogham Stone see the tallest (17’) Ogham (ancient script) inscribed standing stone in Europe in an incomparable setting just a few miles outside Ardgroom, take the second right signposted for the harbour (you will see it on the way down) and then go left, stop at the first cottage and walk on up through the gate, just say hello to Diane the owner first. You can go on a bit further then and visit the Hag's Chair and the Cat Stone (pre Christian) at Kilcatherine church. 4 Before picking up the road again to head further west to Eyeries, another very pretty painted town, stop into Evie’s café in the middle of the town for the best home baked apple pie and a pot of Barry’s tea, again made in Cork. 5 Continue on via Cod's Head (a vista to die for) and Aillihies the furthermost village on the peninsula and centre of Cornish Copper Mining once upon a time, until the price of copper dropped and the miners headed off to Butte in Montana to try their hands at digging for gold. Nice modern museum in an old church with a good café and more of those incredible sea views. 6 Head out to Dursey Island and Ireland’s only cable car if you fancy going out to the island, I hadn’t time (my excuse) honestly it’s quite safe, they only banned cows and sheep from travelling in the same cable car a few years back! And I have since heard that you can see basking sharks in the channel below at the right time of year (early summer) darn! 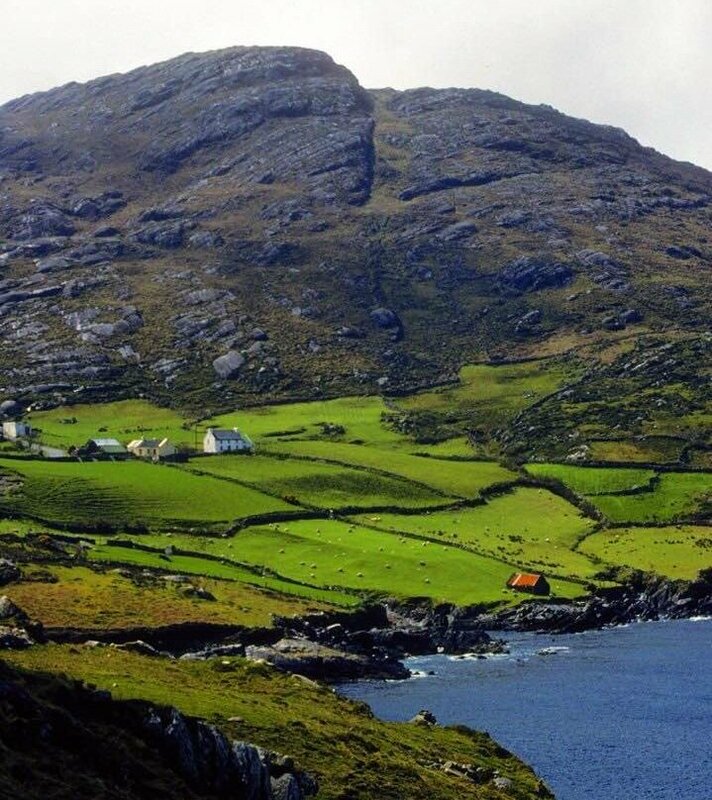 7 Or drop into Dzogchen Beara a state of the art Buddhist Retreat clinging to the cliffside on the way back to Castletownbere. There is an open invitation to the public for a guided meditation each afternoon between 3 and 4 pm. They also have a range of weekend or week long retreats also, see website for details and dates. 8 Castletownbere I didn’t have enough time to fully explore this bustling little town where most of the fresh white fish sold in Ireland comes from, but I did find Pete McCarthy’s famous pub (it would take me, wouldn't it?). Sadly Pete died way too young but his novel of the same name is an absolute hoot (he was the Irish equivalent of Bill Bryson) that you must read if you are headed that way. 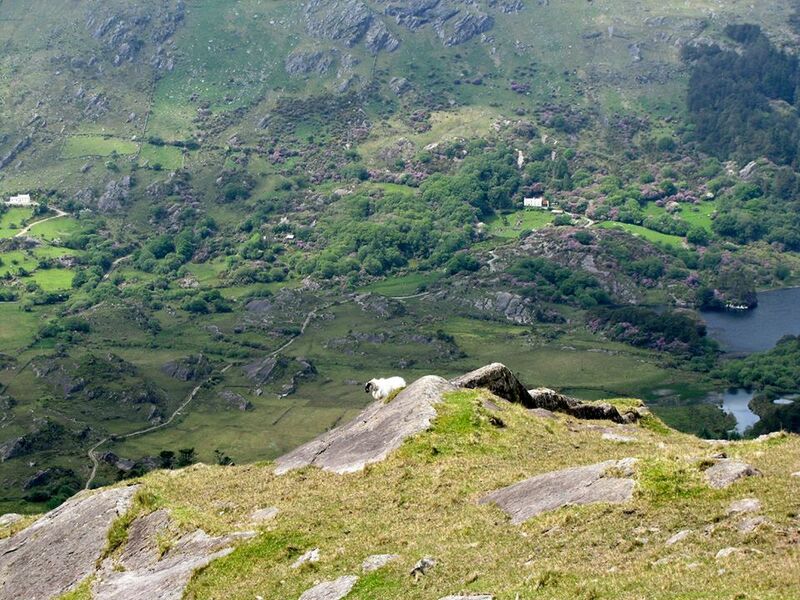 9 Adrigole is where you turn off to do the Healy Pass which nobody could argue isn't spectacularly beautiful, take your time as the roads are narrow but there are plenty of pull-ins to pass by or take photographs. On the far side 7 kms down the mountain is Josie’s café/restaurant, which does nice home cooked food and offers a warm welcome always. 10 A Grand Day Out is a co-operative of all the local arts and crafts places along the route, although if you want a one stop shop Adrigole Arts Centre has a good selection of quality crafts from all over Ireland and a nice terraced tearooms, overlooking the Hungry Hill. For more Things to Do and See in West Cork please click here.